Today I bring you an Easter egg from Walt Disney Word that is rarely seen by guests, Cast Members or frankly anyone. The Journey Into Imagination attraction, due to some technical complications and being green lit pretty late in the game, would not open with the rest of EPCOT Center on October 1, 1982. 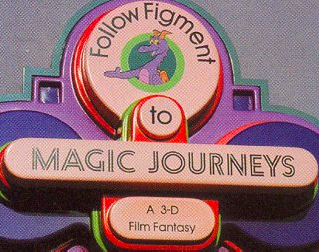 To make matters worse, Magic Journeys, the 3D film that was slated to go in the theater in the Imagination Pavilion was running behind schedule. 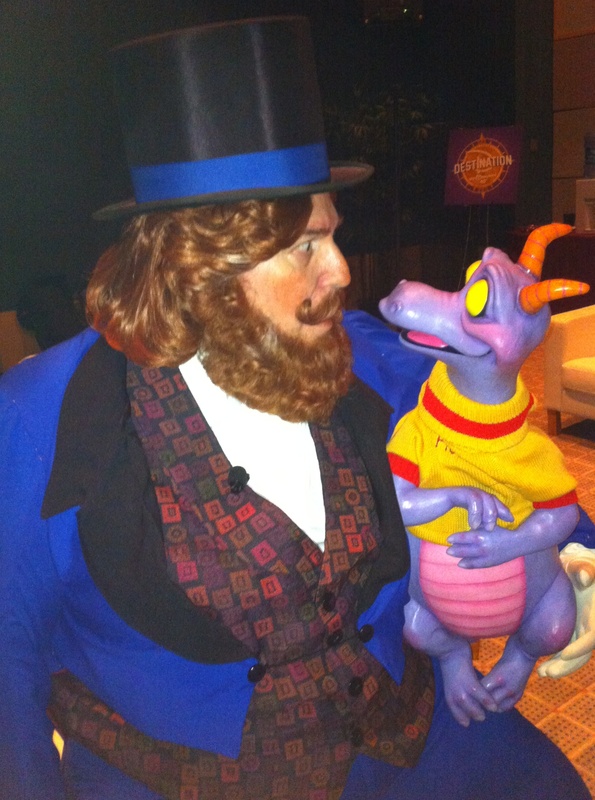 While EPCOT Center was being built, my buddy Ron Schneider was flown out from California to film some shots around the exterior of Journey Into Imagination as the Dreamfinder for a preview movie that was to be shown in the Magic Eye Theater until Magic Journeys was completed. The film was being directed by Mike Jittlov, an animator famous for stop-motion animation films like this one called “The Collector” from 1978. 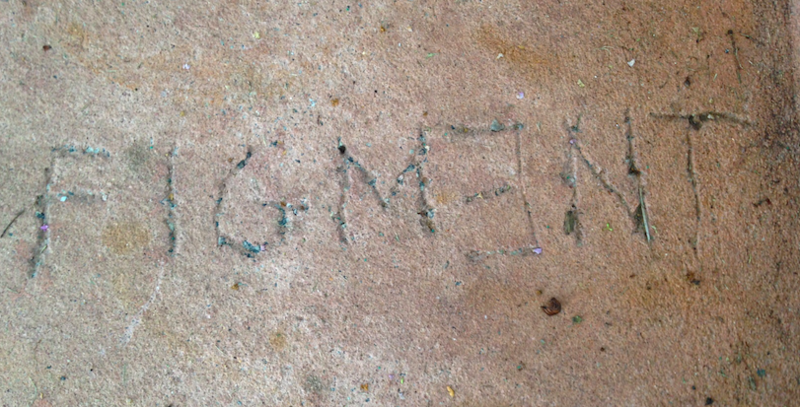 Keep in mind, Figment’s signature can still be found in the cement near the restrooms of the Journey Into Imagination pavilion. However, it is in a backstage area… barely. If you’re headed towards the restrooms you’ll notice a giant service gate in front of you. To the left of that gate is an area where Cast Members can walk around the gate to get from “backstage” to “on stage” without having to open it up. Located about two steps inside that walk around area on the left under a tree is Figment’s signature. Am I recommending anyone who isn’t a Disney Cast Member walk back there without permission? No. 100% absolutely not. It could get you in trouble and that’s not good. 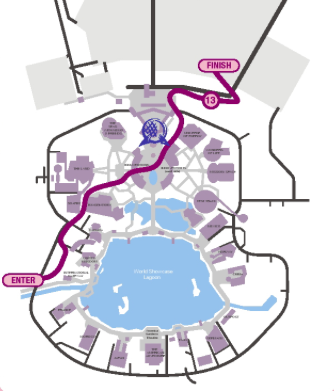 However, if you ever run a marathon that’s routed through Epcot, often times the race path goes right through that gate, so it’s definitely worth it to stop and take a look. In addition, the gate is sometimes open on busy days like New Year’s Eve to help funnel heavy traffic from Future World to World Showcase and back. Finally, if you’re ever lucky enough to go on a convention at Epcot that brings you backstage, every once in a while you will be routed through that gate. Here’s hoping you’re lucky enough for one of these circumstances to come your way. For more stories on themed entertainment, like Theme Park University on Facebook and follow us on Twitter! This entry was posted in Disney, Easter Eggs and tagged cement, easter eggs, Figment Signature, Journey Into Imagination, Mike Jittlov, Ron Schneider Columns. Bookmark the permalink. Trackbacks are closed, but you can post a comment.